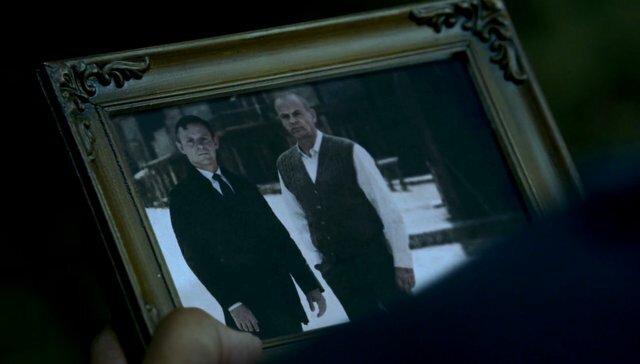 Co-created by Christopher Nolan’s brother Jonathan, the show is extremely mysterious with more fan theories than Lost. From sabotage to multiple time lines and beyond, you never feel like you have a solid grasp of everything going on. To add to this confusion, I have created an Ultimate 6er for the show’s main characters (with some bonuses for others that are close to my heart). Dolores Abernathy (Evan Rachel Wood) is the oldest of the hosts inhabiting Westworld, and immediately grabs the heartstrings of both Westworld guests and show viewers alike. Not just in the physical form, Delores brings beauty to an extremely savage work. Much like Alice in Wonderland, Dolores’s father sent her down the rabbit hole in hopes of her reaching true consciousness. As the dreamer of the hosts, I chose Dreamy Things Farmhouse Pale Ale, a collaboration between Cerebral Brewing and Our Mutual Friend. 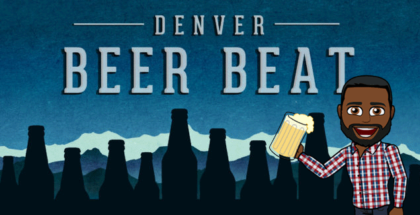 This award winning (silver at GABF) Brett beer is balanced, delicate, complex and damn good. 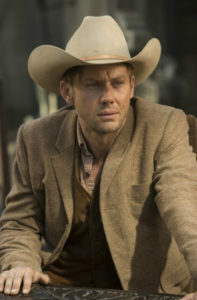 William (Jimmi Simpson) is a first time visitor to the park and one of the main characters on the show. William is a noble person to the core and goes into Westworld with the goal of not letting the temptations of this experience change him. As an idealist, William sees the world in black and white terms. William is really basic, often overlooked, but solid and good. 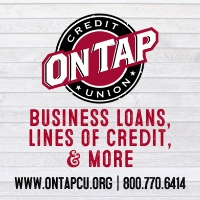 This makes Sierra Nevada Brewing’s Pale Ale the perfect beer for him. This hoppy beer exemplifies the style and never disappoints, but lacks the enthusiastic following that more rare beers often find. Maeve Millay (Thandie Newton) is equal parts beauty, brains and brawn. She is the host that runs the bordello and is not one to mess with. Her will to survive is only outmatched by her ability to read people and take the upper hand. While playing the game in Westworld, Maeve is also trying to navigate the backside of the park in an effort to escape. As a sweet, strong, but very dark character, the best beer to exemplify Maeve is The Bruery’s Grey Monday Imperial Stout. This 19.5% monster is jet black and really dangerous with the sugary sweetness of chocolate and hints of hazelnuts that mask the potent ABV. 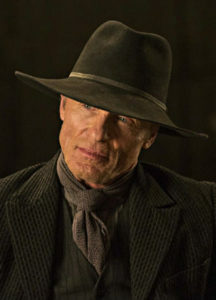 The Man in Black (Ed Harris) is a main character and frequent visitor to Westworld, but few things are known about this vicious stranger, even his name. He savagely kills almost every host he comes across without feeling or hesitation, unless they are able to provide him needed value. 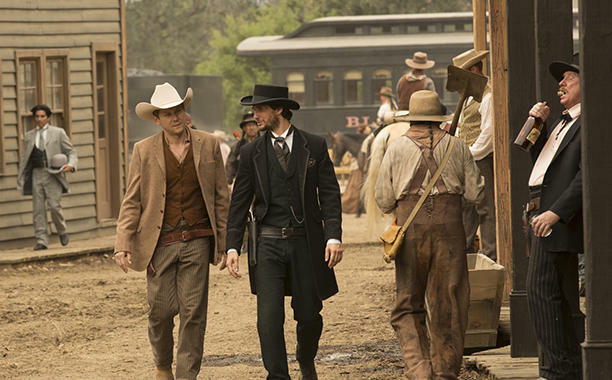 Outside of Westworld, The Man in Black is famous and appears to be a good person, as other Westworld guests recognized him and thanked him for the work his foundation does. Because of his behavior in the park, Perrin Brewing’s No Rules Imperial Vietnamese Porter perfectly personifies the Man in Black. This heavy dark porter with coconut, cinnamon and turbinado sugar clocks in at 15% ABV and is aged in bourbon barrels. No Rules is extremely hot and perfect for drinking during the cold winter. 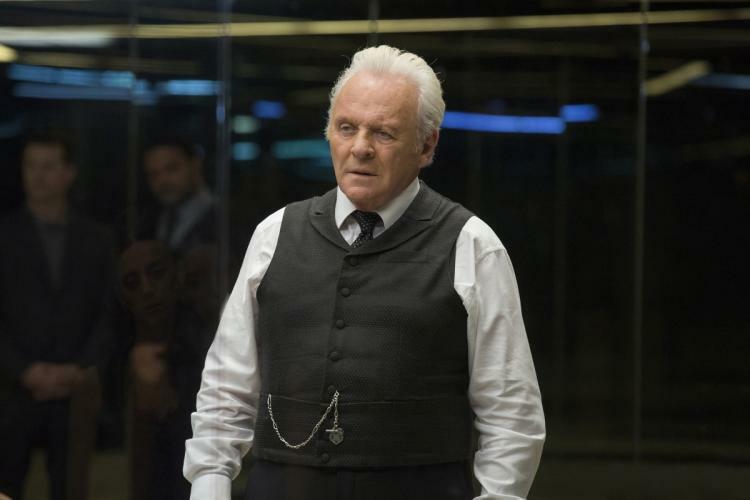 Dr. Robert Ford (Anthony Hopkins) created Westworld, along with his mysterious partner Arnold and continues to have a stronghold on the direction of the park more than 30 years later. Ford is an incredibly brilliant and talented man, but he is also scarily savage and calculated. 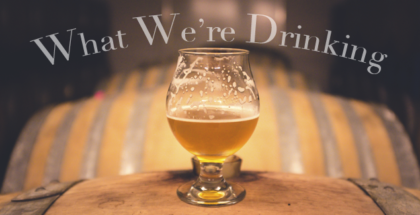 He is a mad scientist in every sense of the word, which makes this beer selection incredibly easy: Strange Craft Beer’s Dr. Strangelove Barleywine. Both are big, make no apologies, and are not to be taken lightly. Dr. Strangelove packs a ton of hops (more than 3 pounds per barrel and 99+ IBUs), has a huge malt presence, and weighs in at 11.5% ABV. 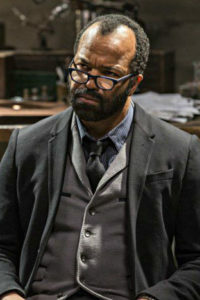 Bernard Lowe (Jeffrey Wright) is the head programmer at Westworld and Dr. Ford’s most trusted confidante. Bernard is level-headed, extremely intelligent, and compassionate towards all the hosts by treating them as humans and not machines. In one of the most pivotal moments of the season we discover Bernard’s real relationship with the hosts, but you’ll have to watch and discover for yourselves. 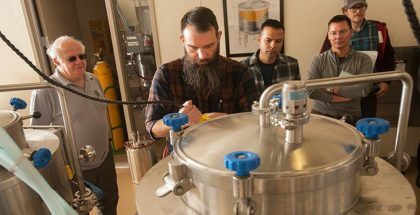 With Bernard’s passion to help the hosts become more, his perfect beer is Little Machine Brewing’s Razz Against The Machine. This award winning tart raspberry ale is really crisp and fruit-forward with just a bit of sweetness to go with the sour. 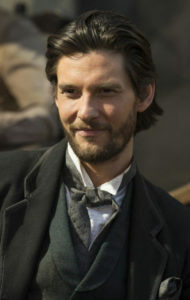 Logan (Ben Barnes) is a frequent guest of Westworld, who mainly partakes in the carnal delights of the park. As his brother-in-law, Logan introduces William to the park. He is one of the darker characters on the show and comes from a rich family that is looking to invest in the park. As a dark sellout, the perfect beer for Logan is Elysian Brewing’s Split Shot Espresso Milk Stout. 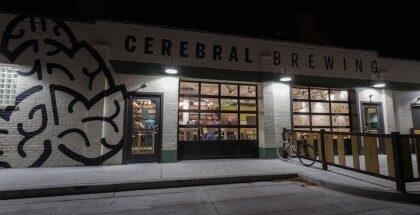 This sweet stout blends a ton of bitter coffee taste and chocolatey goodness. Little is known about Arnold, the mysterious co-creator of Westworld who died just before the park opened; including his last name and his cause of death. Currently, he is more of a myth than an actual man. Like Arnold, Brooklyn Brewery’s Black Ops is a legend that many have heard, but few have experienced. Made in secret by a secret team with secret ingredients, Brooklyn will neither confirm nor deny that this tasty imperial stout actually exists. 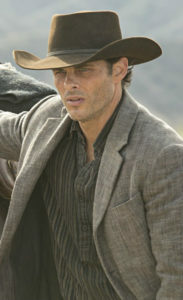 Teddy Flood (James Marsden) is a host and the embodiment of Bad Luck Brian. 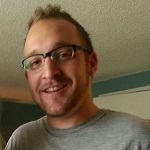 Teddy’s programmed storyline involves a romantic relationship with Delores, but seems to die in about every episode before that relationship can fully materialize any further. Because of this, Left Hand Brewing’s Wake Up Dead Imperial Stout is tragically terrific for Teddy. The hints of raisins, licorice, coffee and dark chocolate make this dark ale more bitter than sweet, which is where all these deaths could take Teddy on the show. We suggest you enjoying these perfect Westworld beer pairings while watching this Sunday’s season one finale on HBO!